Nice older hat. Snaps tested and work. Nice white color. 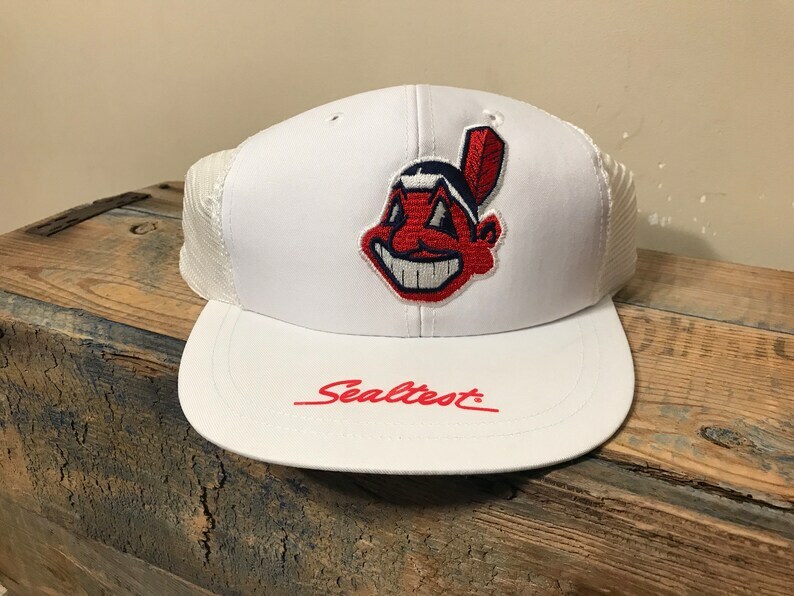 Big chief wahoo logo. Check out pictures to see what you get. Hat will be shipped in a box to keep it from getting damaged.